Beyonce was the one that gave us the lemon diet. Truth be told, the diet was there, it was just Beyonce taking it to the next level of popularity. The same can be said about Lemonade braids. 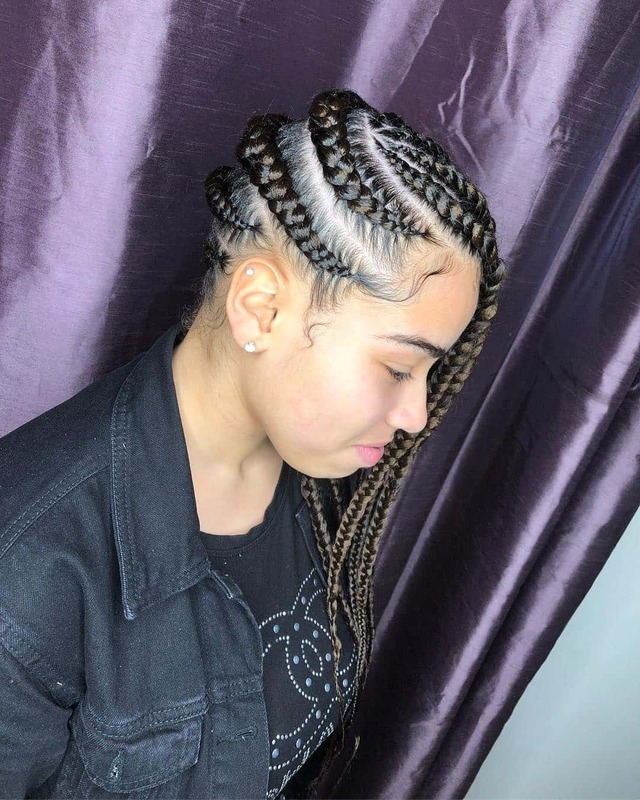 Beyonce is the one popularizing this style of braiding. 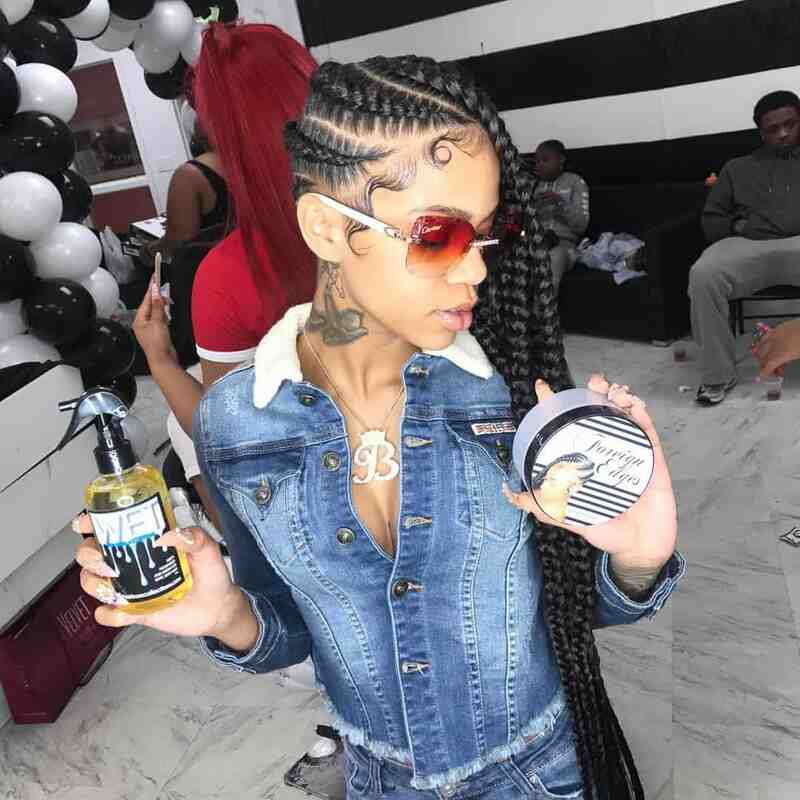 You can even say that lemonade braids are becoming one of the most iconic braids of all time, and it is all thank to Queen B. Looking for some inspiration? 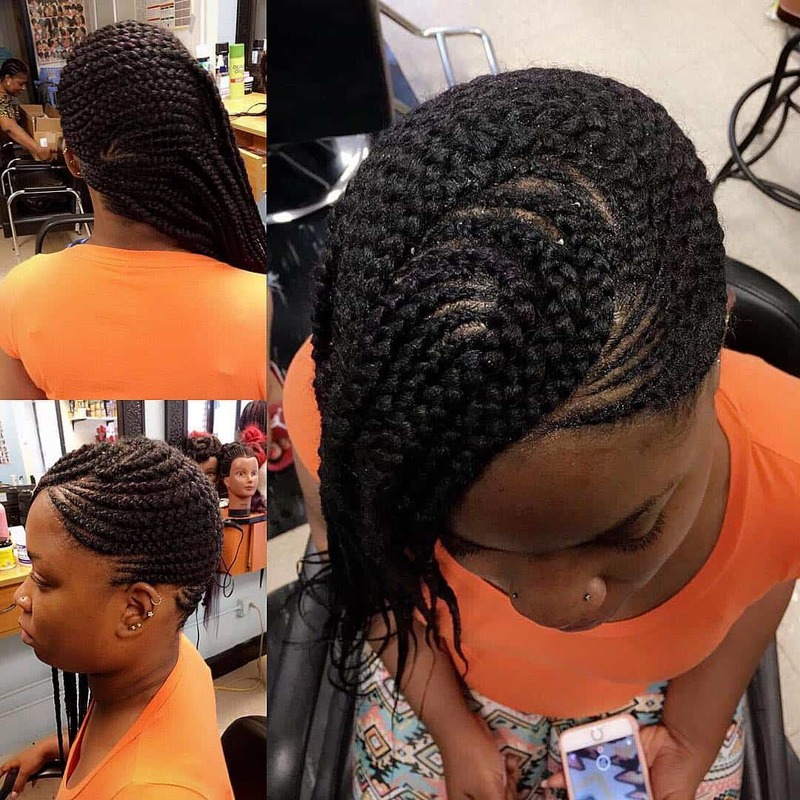 Let us help you with a couple of ideas how to catch up on the braiding trend. If you’ve seen Beyonce and her braids, one thing is obvious, she is more into mini braids. But that doesn’t mean you cannot rock the lemonade braiding style with some big and chunky braids. It is all up to you. As long as you follow the braiding technique. 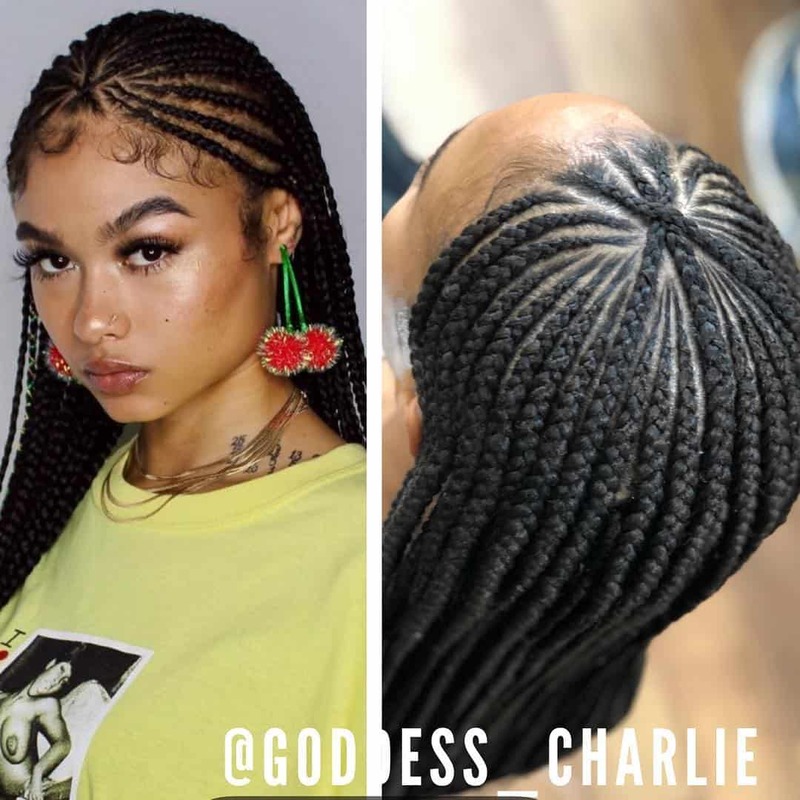 Lemonade braids are actualy small feed in braids. 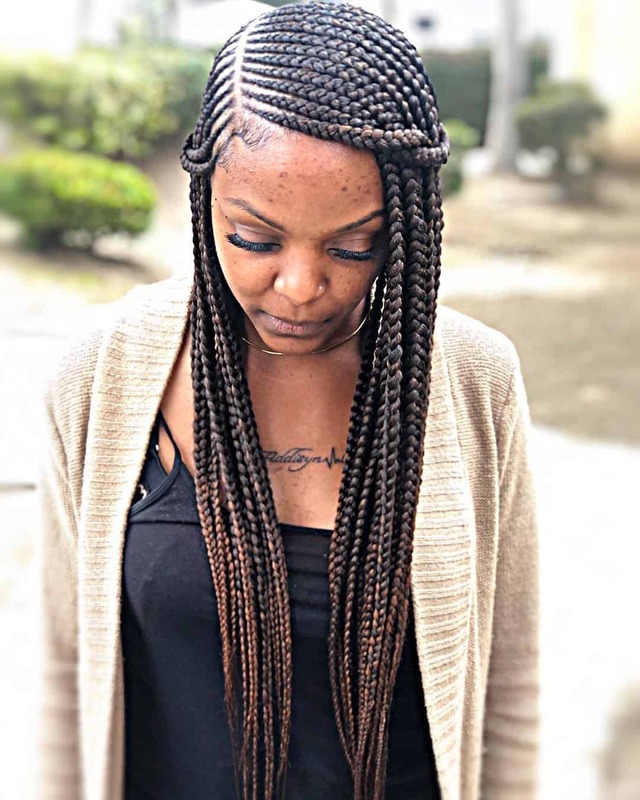 For those of you that do not know, small feeds are a braiding technique that can last up to two weeks with proper maintenance. 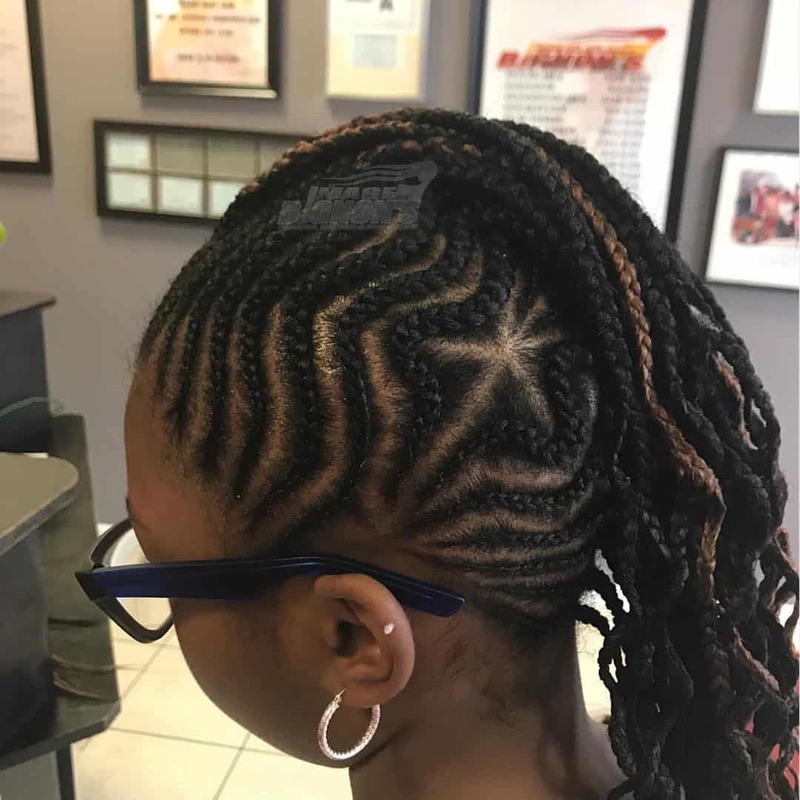 And here is a side cornrow braiding style with small feed in braids. You can say that lemonade braids are quite edgy without any additions. But if you want to make them cooler and fancier, here is a way how to do it. Those golden hair cuffs might be too much for some ladies. However, if you can rock gold on your hair, it is a great addition. Just be careful not to look silly. Alicia Keys is another celebrity that loves to do lemon style braids. And she is also into turbans. 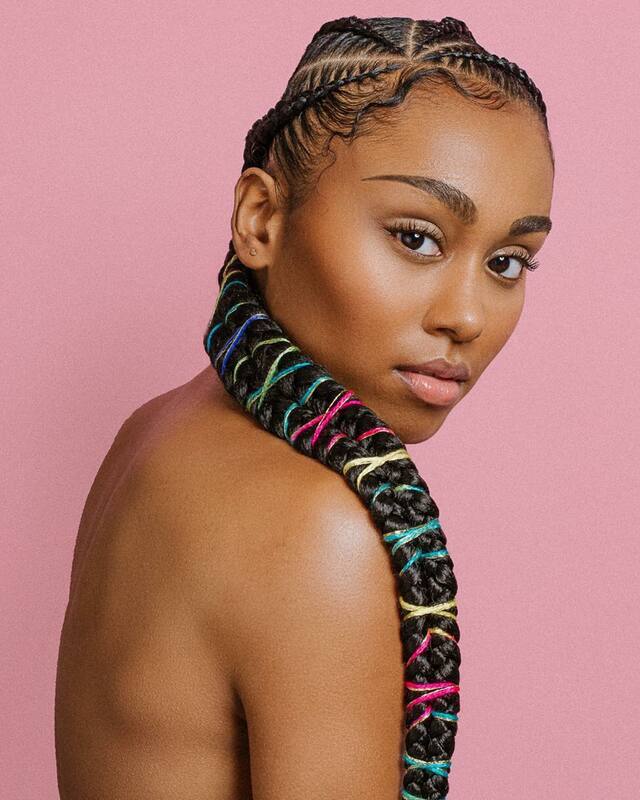 While we haven’t seen rocking a braiding turban, this is a style that definitely looks tailor-made for the R&B star. 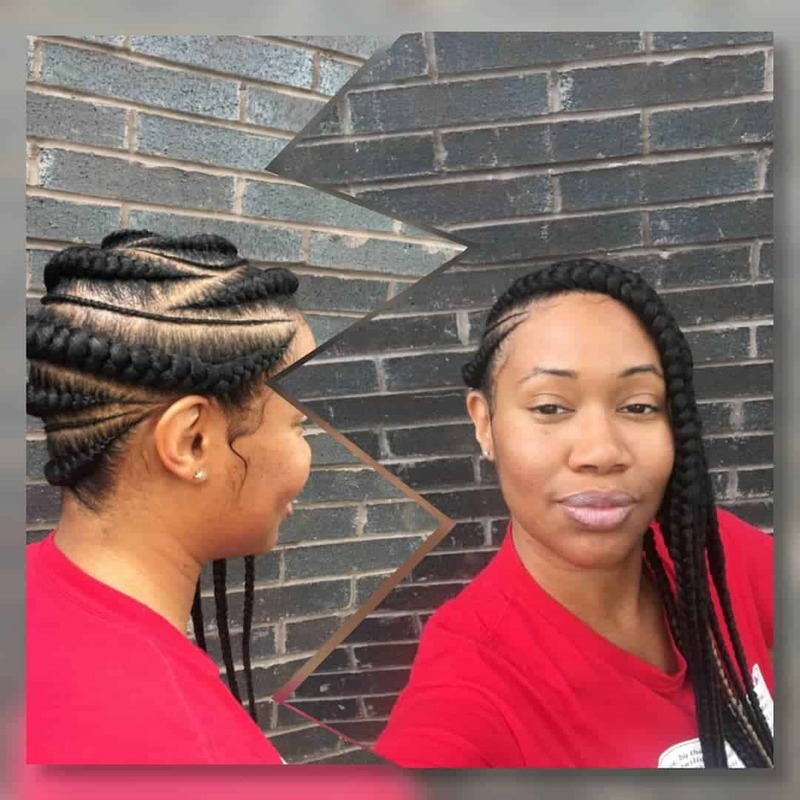 Another way to do large and chunky braids, but be unique while doing it. Why leave the hair fall behind your back, when you can go sideways, and add a fancy twist to your hairstyle. Mix and match are one of the most popular techniques lately. People use it in interior design, makeup, and hairstyle. The premise is simple, you combine two vastly different styles, and try to achieve a balance between them. You can certainly say there is a balance in this style. For those of you who want to achieve the Harlem-vibe with your braids, here is one fancy and quite an urban look. You can definitely rock this style while going out for a party. 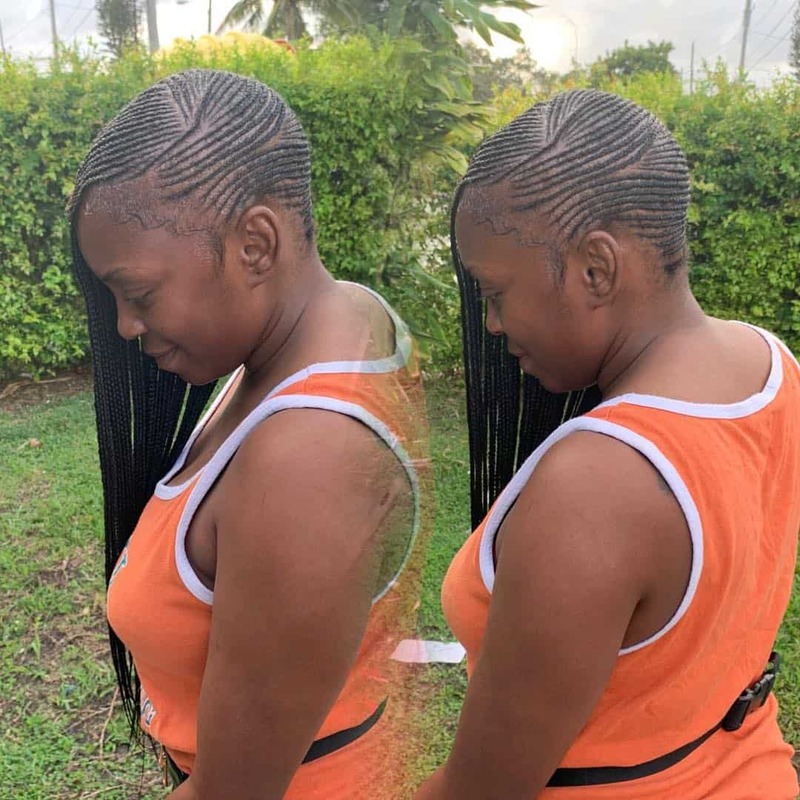 Some women want to add a fancy touch to their braids. Adding a star in the middle of your head certainly fits that bill. It might take a bit more time to precisely make the star, but it is well worth it. The equivalent of focus nail when you do your manicure. You can always leave one nail out, or in this case, one braid out to pop. It is a nifty trick to get more attention in a simple way. Criss-Cross is a technique that requires a lot of time and effort to master. But once you learn it, you can create some of the most playful hairstyles you’ve seen. So, invest in yourself, and the rewards will follow suit. 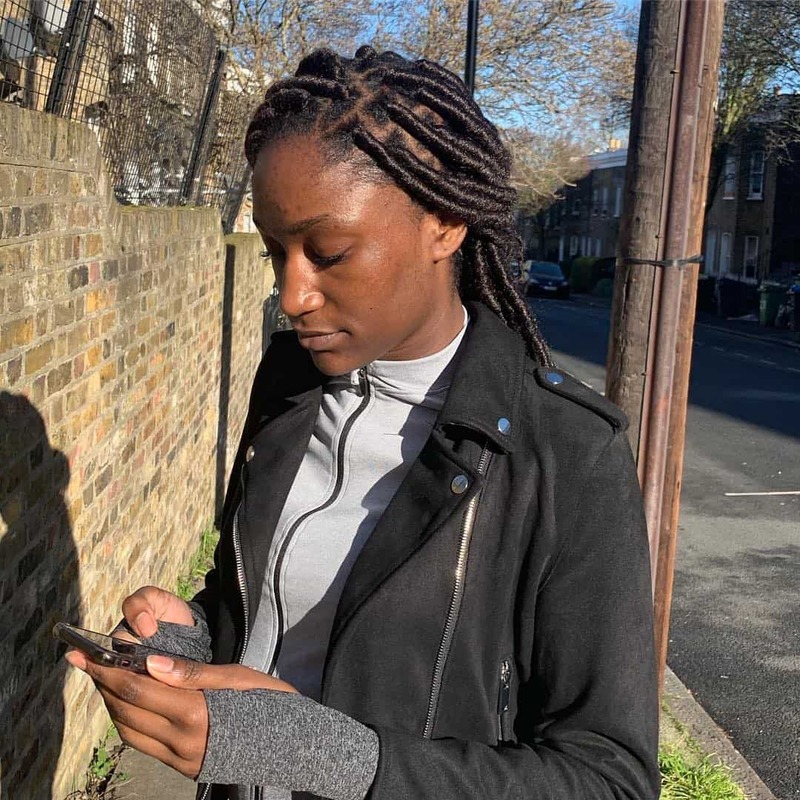 You will hear some people telling you that for braids, you have to have long hair. Wrong. You can make your braids no matter the length of your hair. Exhibit A. See, even medium length works. A different take on the one that stood apart. Instead of all braids and one left on the side, you have just a single braid in between your loose hair. If you want to try something unique, this is it. 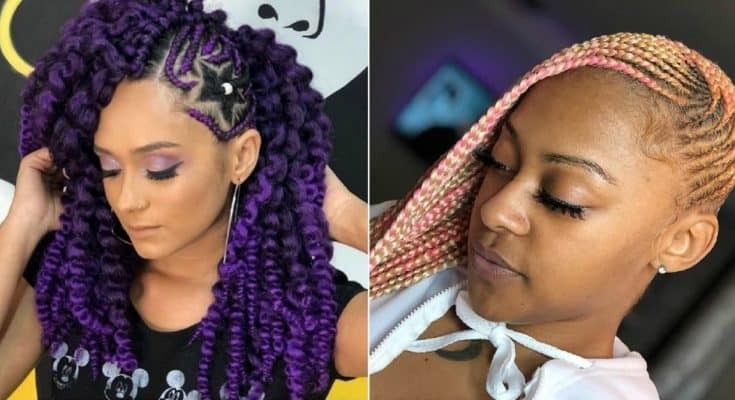 This is the classic Beyonce lemonade braids, but with a color twist. Burgundy is one of the most popular colors in the past year. No surprise there. Burgundy makes you look more sophisticated and elegant. Try it. 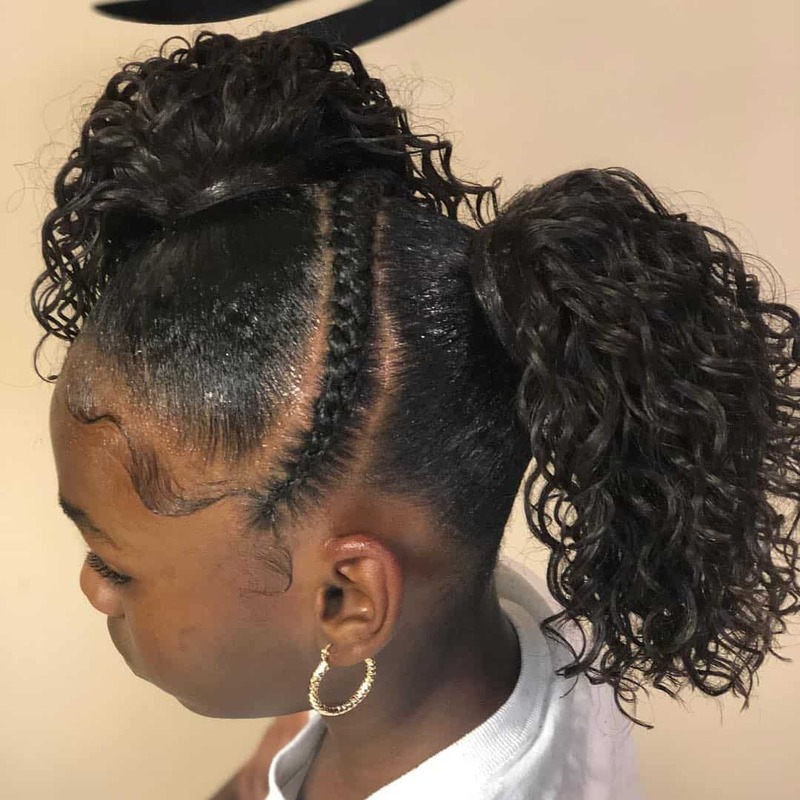 We said at the beginning that lemonade braids are small feed in braids. But this is going a step more to the micro braiding. 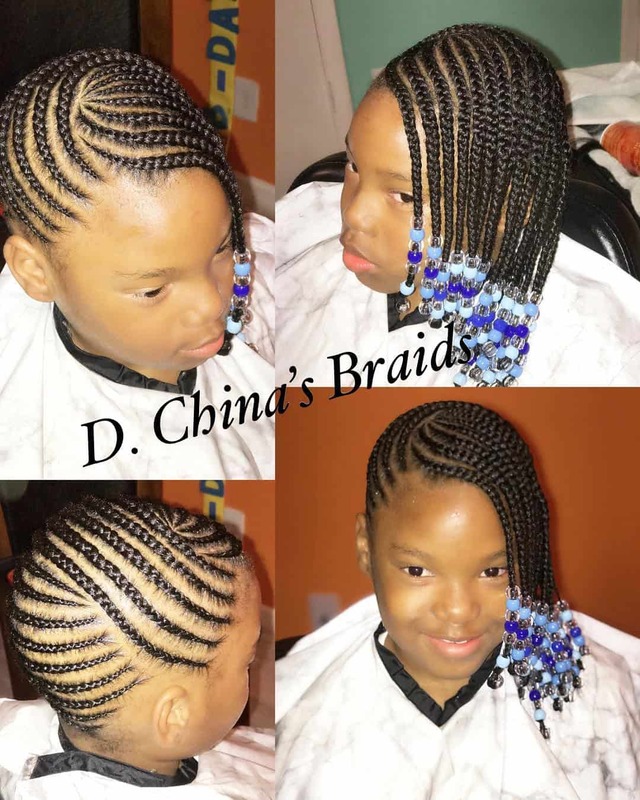 Now, micro braiding is a delicate technique. But micro braids are less damaging extensions if you want to go that route. 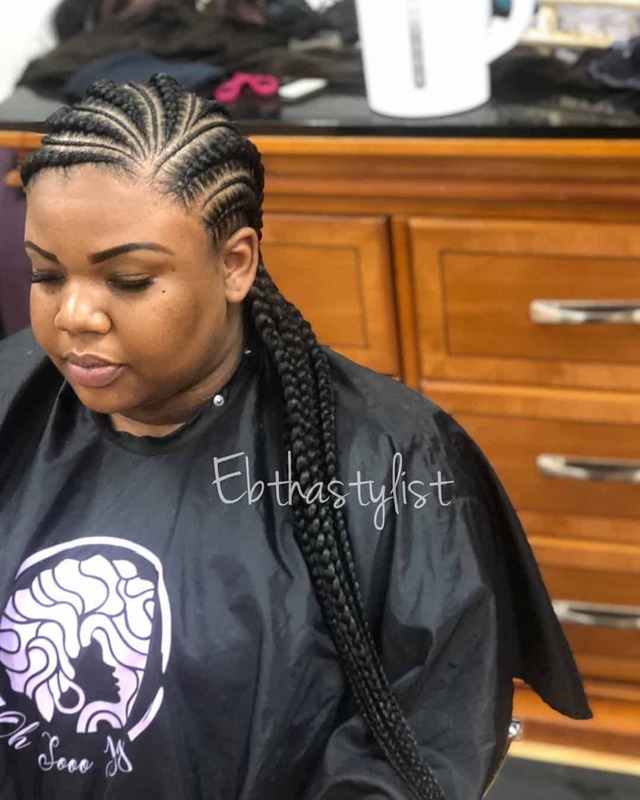 Another proof that even medium length can work for braids. In this case, however, we have a different direction of the braiding process. And that is just fine. It is all about finding something unique about your hairstyle, and sticking with it. Here is one unique look that will definitely take some time for practice. 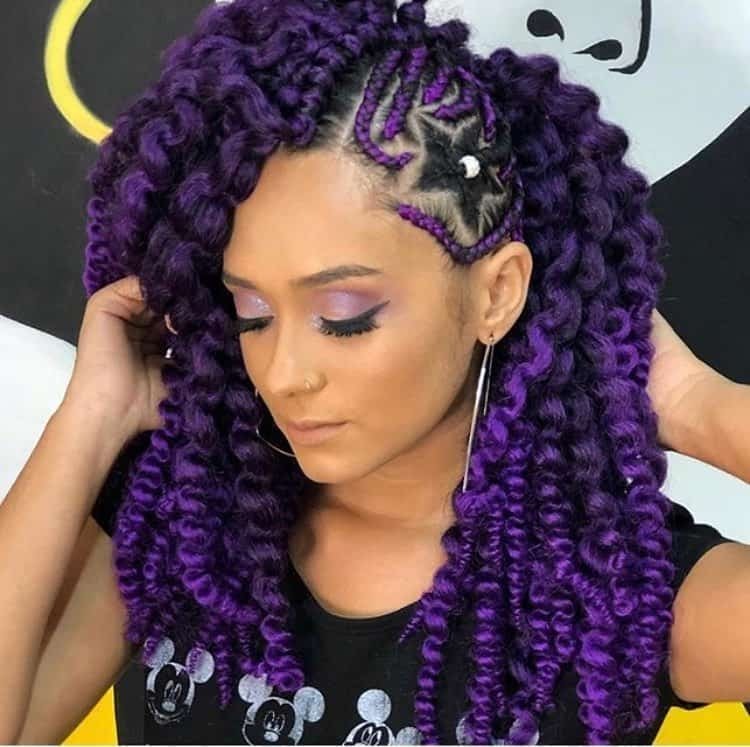 This girl is one of the more popular hair specialist on Instagram, so it is worth taking a look. She definitely has a lot of ideas to offer. We want to try this one, as it is quite unique. We had burgundy braids, and now we get to see some pink ones. These are more girly and romantic looking ones. And they definitely add some playfulness to your hair. 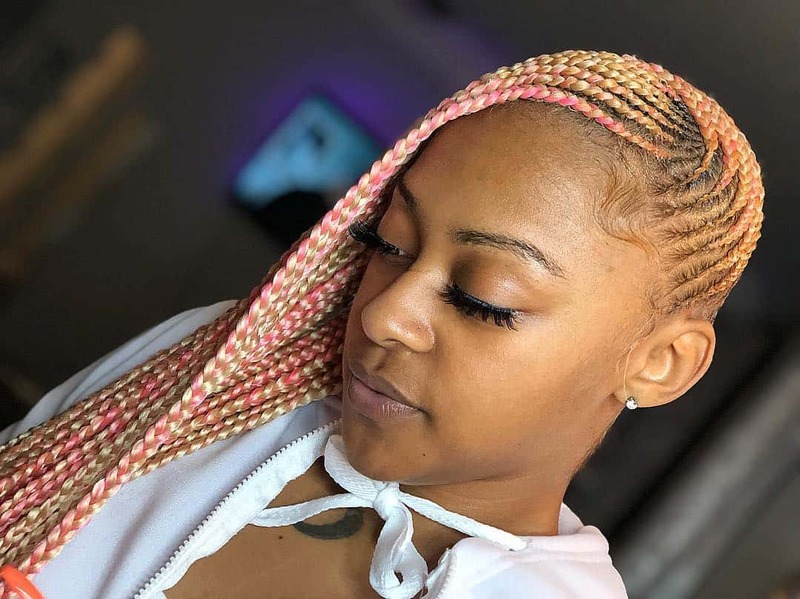 If you have the skin color and tone to match the pink braids, definitely try it once. 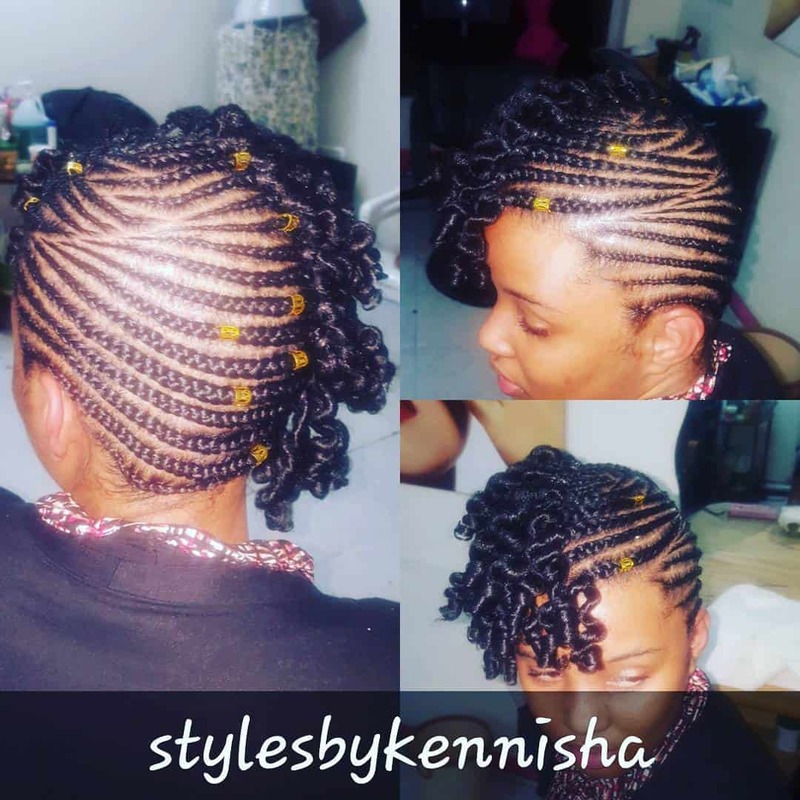 Senegalese twist, or Senegalese braids are another popular hair trend in the past few years. The best part? You can order ready to apply for hair extensions. With that in mind, you can get your lemonade braids in a matter of minutes. Braids are part of the boho chic style. And when it comes to boho style, you want some tribal elements. Just be careful, if you try some tribal elements on your hair, avoid them on your outfit. One color that will definitely add elegance to your outfit is violet. 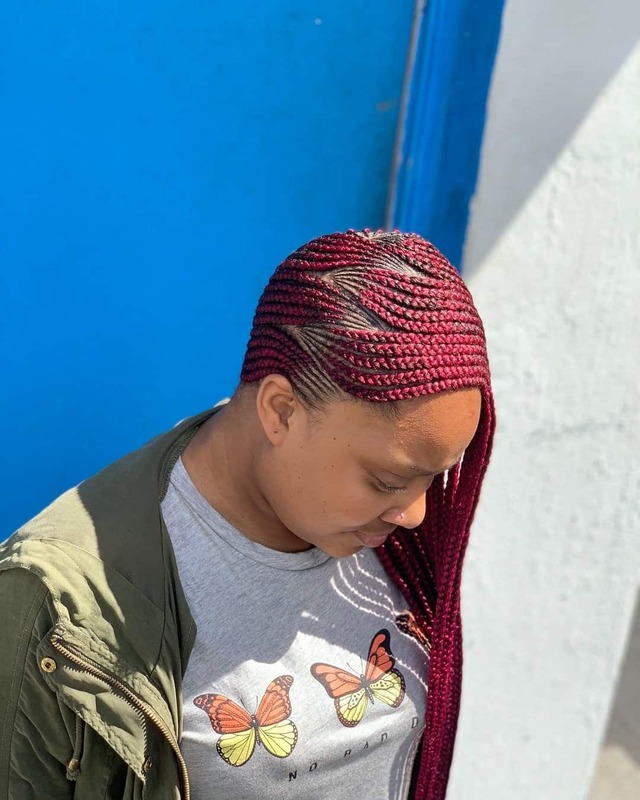 These chunky braids add volume, and thanks to the color, you will look unique and wonderful. The star on the side is just icing on the cake. 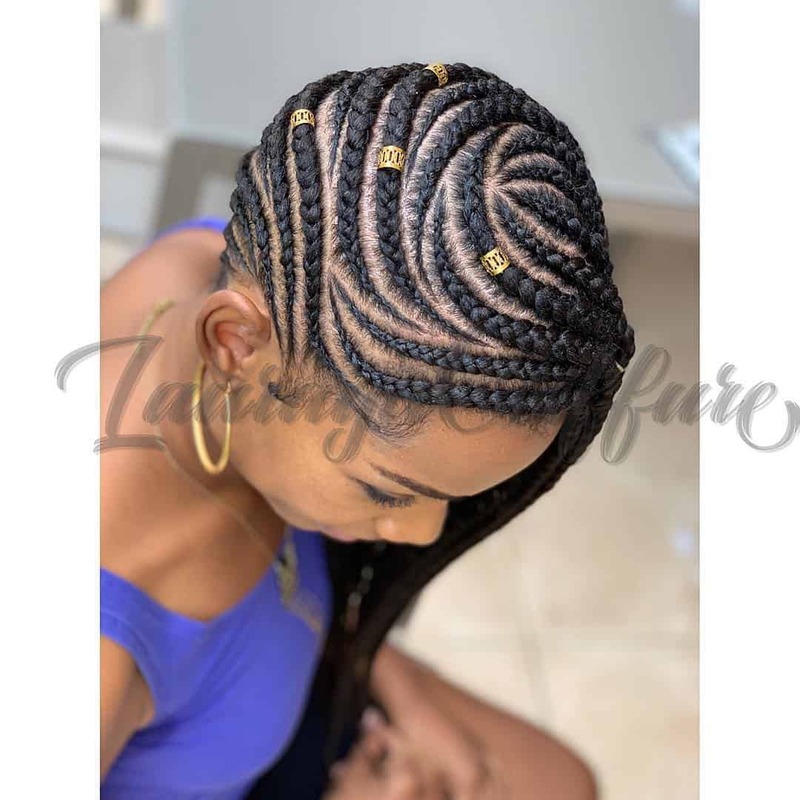 One of the purposes of braiding is to get the hair out of your forehead and showcase your full face and beautiful eyes. 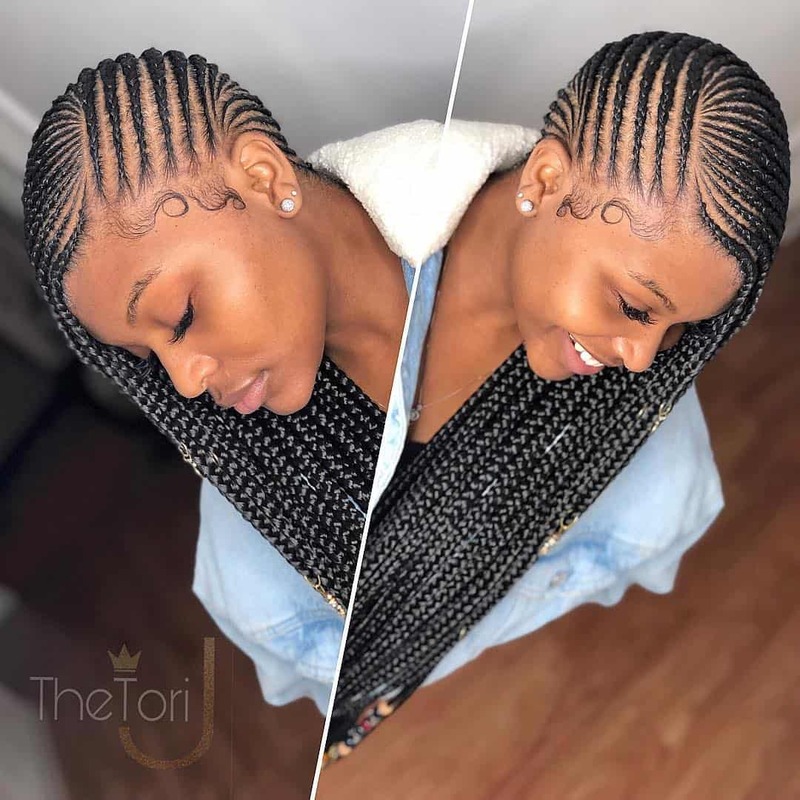 This hairstyle definitely does that, thanks to the central parted braids. A true R&B hairstyle, one taken directly out of Alicia Keys’s looks. 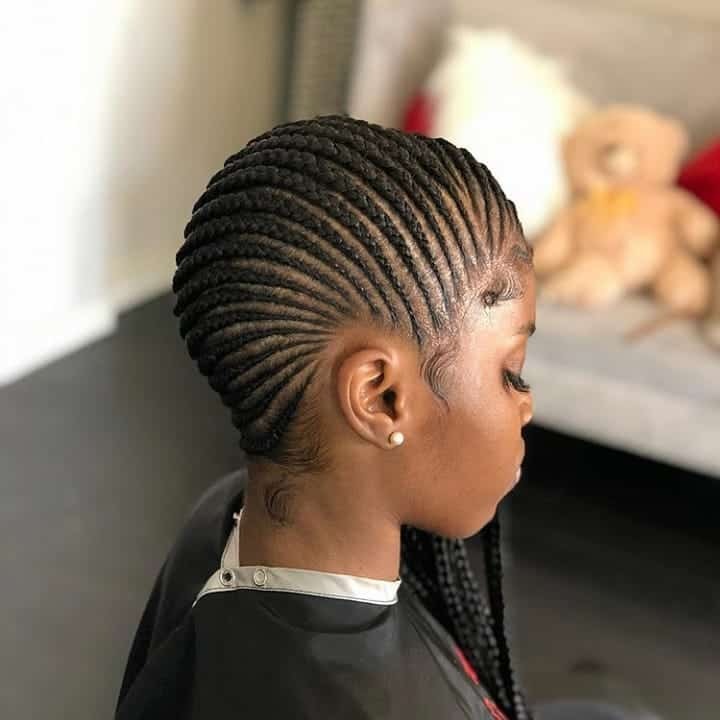 You can be certain you will steal a couple of looks when you are out in the club with this hairstyle. Or even strolling down the streets. 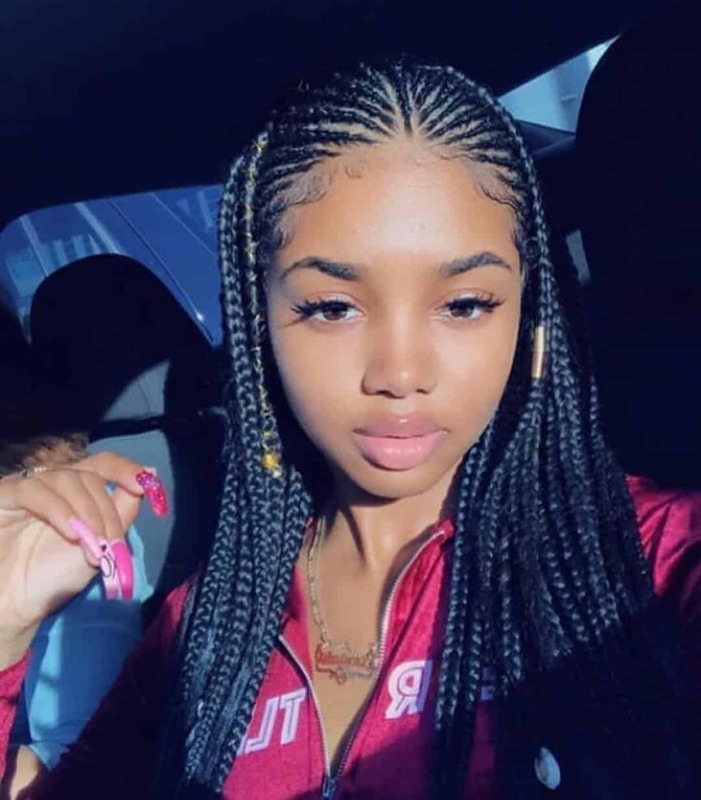 We mentioned previously that you can easily mix and match small and large braids in one hairstyle. That is exactly the point here. The length is astonishing as well, which can only be achieved realistically with hair extensions. 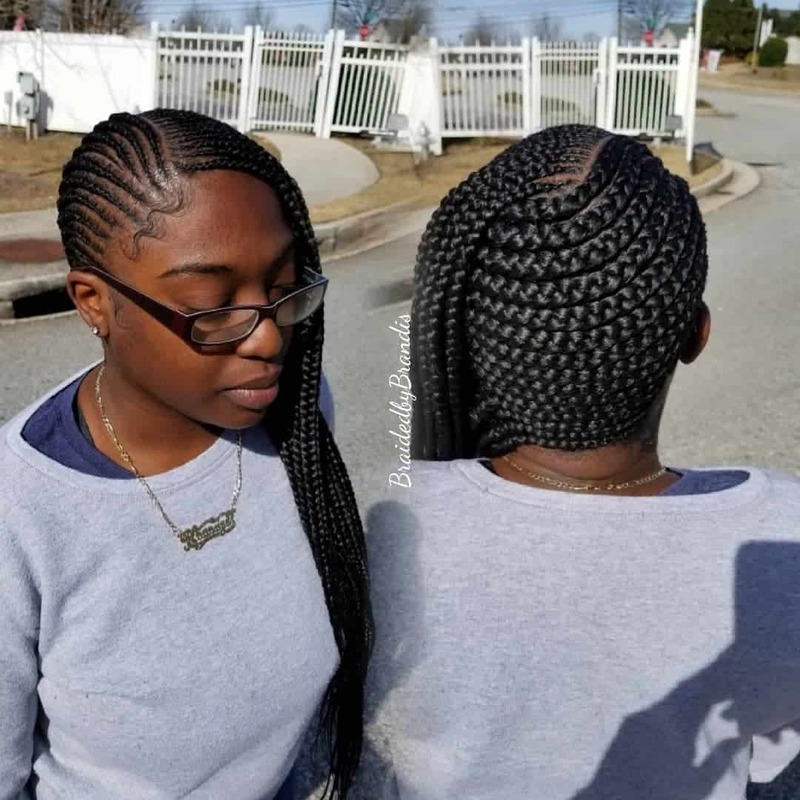 In the same spirit, we have another idea for small to large braids. 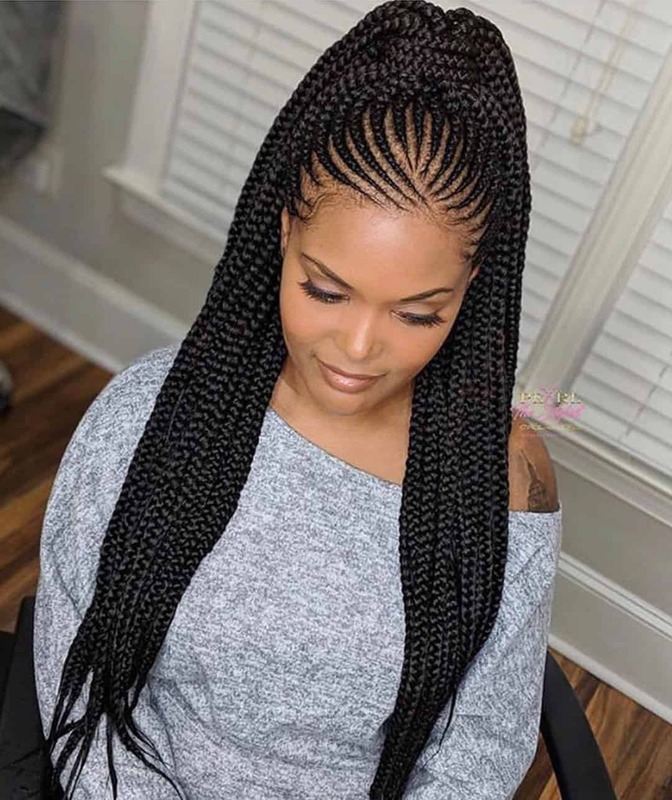 There is a small difference in the style of the braids, but it is still the same goal. This is one classic Harlem hairstyle you’ve probably seen in a movie or two. Popular choice among ladies when they want to add more volume to their hair. Try it, you won’t regret it. 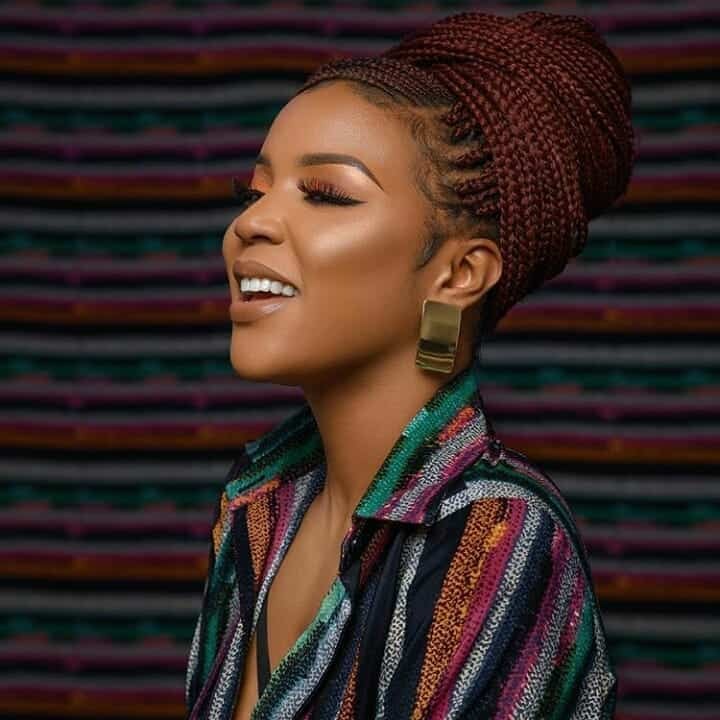 If you ever thought that braids are only for African-American women, think again. Here is an example of how they can look amazing even on a white-colored American woman. Not to be racist or anything, but braids are for everyone. 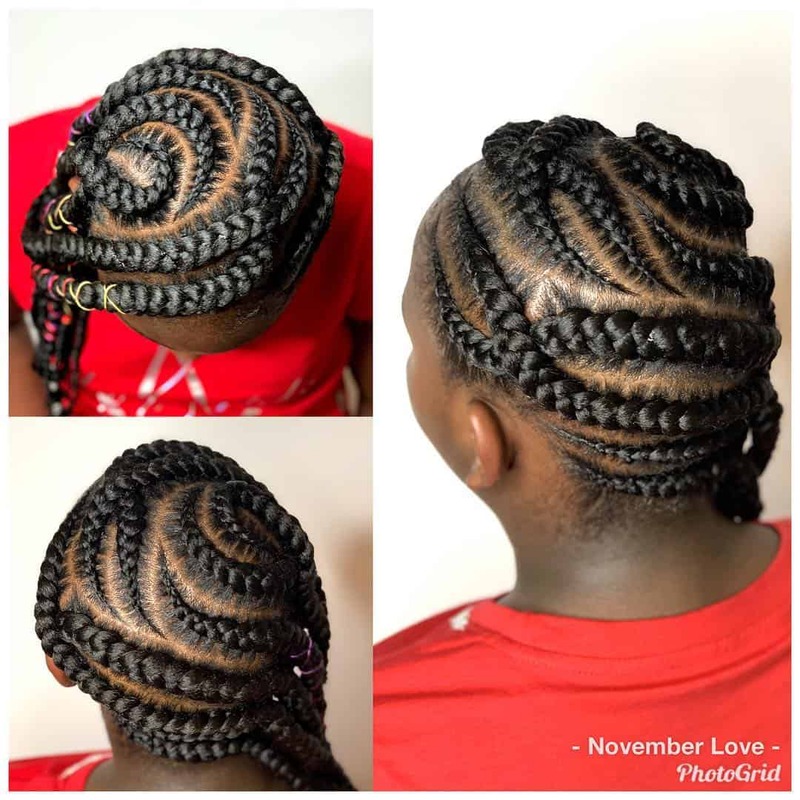 We finish off with a colorful and playful example of braiding. Hopefully, you liked what you saw so far. 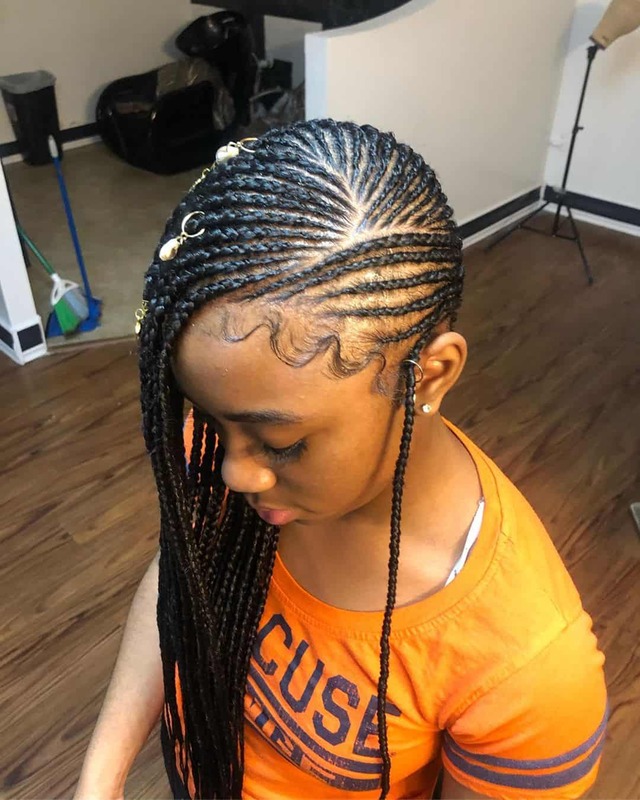 If you have any other ideas for Lemonade braids, feel free to share them in the comments. 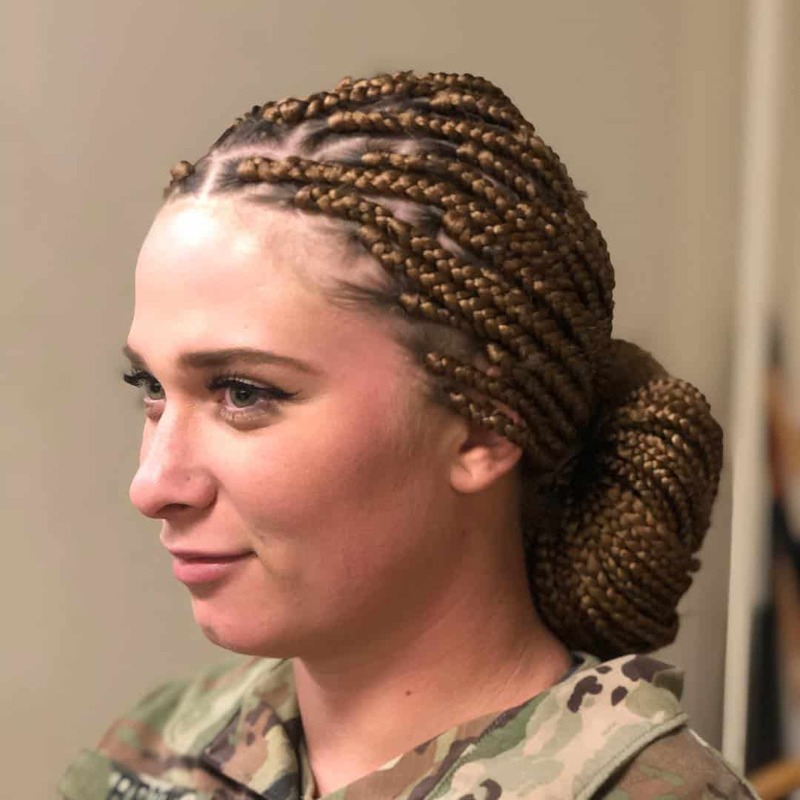 We want to see your braids.